The key to choosing your ideal wedding ring is by choosing a ring that closely matches your zest for love and life. If you have a glowing personality, there’s no denying the lustrous appeal of yellow gold. 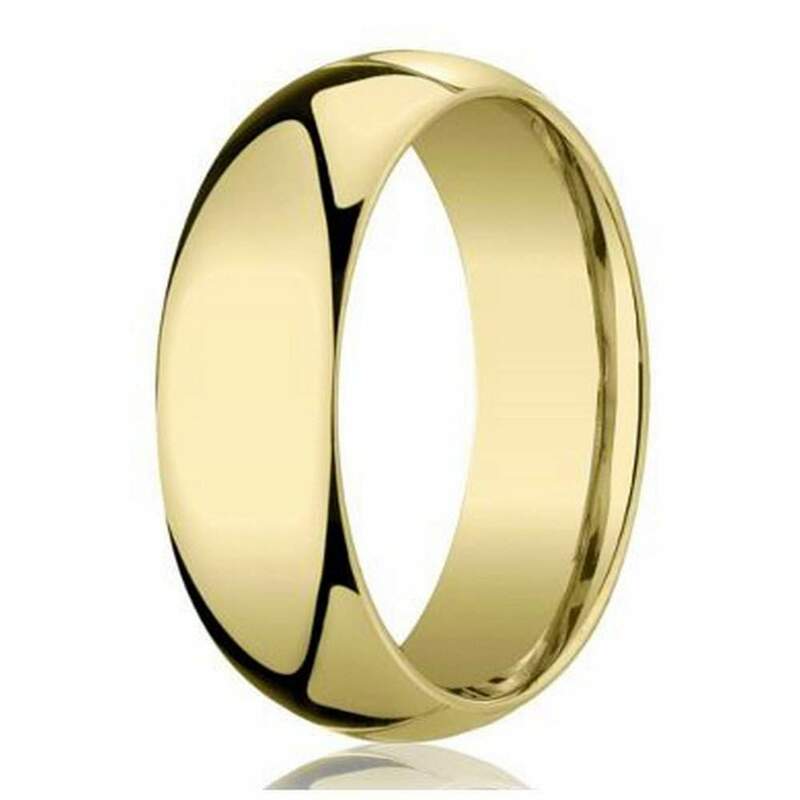 If you or your groom want a classic look that will maintain its popularity, our men’s 6mm domed comfort fit 14k yellow gold wedding band may be just the thing you’re looking for when it comes to sealing your vows. Although there are many materials to choose from when it comes to your wedding rings, we know that you primarily want a ring that will last a lifetime. 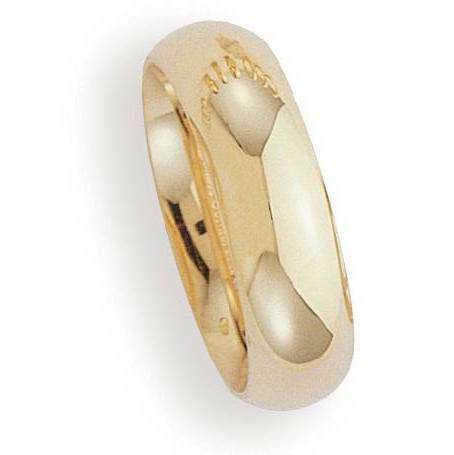 Our men’s 6mm domed comfort fit 14k yellow gold wedding band is reliable in that it will never tarnish and offers easier maintenance than other precious or alternative metal options. 14k yellow gold contains a higher pure gold content than 10k yellow gold and slightly less pure gold than 18k yellow gold, making it the perfectly affordable solution for a couple with a tight budget that still wants quality. Watch your groom’s smile shine almost as brightly as his new men’s 6mm domed comfort fit 14k yellow gold wedding band on your wedding day. Our promise to deliver excellent craftsmanship and only the finest materials renders this ring a flattering choice for any couple. He will also take pleasure in the comfort of the slightly domed design, enabling him to easily take his wedding band on and off for work or strenuous, detrimental activities.